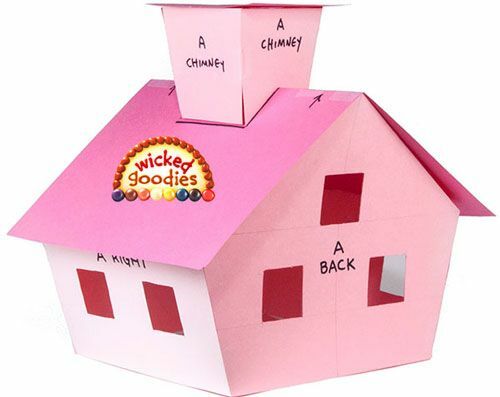 The gingerbread house can be assembled up to 1 week ahead; store in an enclosed box in a cool dry place. If weather is humid, assemble 2 days ahead. Use leftover dough to cut out snowflake and other Christmas-themed biscuits for gifts or a Christmas tree. Instead of cutting out a window, you could do what we've done in the picture above; use a heart-shaped cutter to cut shape from dough... 23/01/2008 · Learn how to cut the dough when you make a gingerbread house and gingerbread trees with expert baking tips for this holiday favorite in this free how-to video on making gingerbread houses. 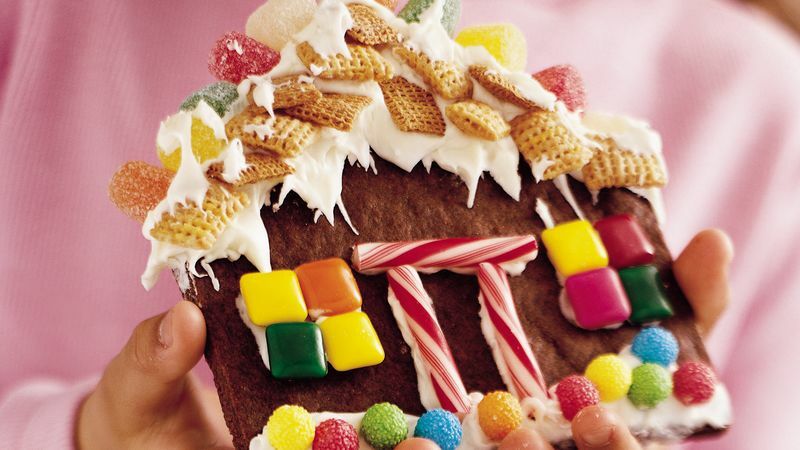 "Every Christmas I design a new pattern and make a gingerbread house for the holidays. The kids love to help decorate."... 23/01/2008 · Learn how to cut the dough when you make a gingerbread house and gingerbread trees with expert baking tips for this holiday favorite in this free how-to video on making gingerbread houses. Tez Kemp of La Madre Bakery in Geelong recommends using hard gingerbread dough when making gingerbread angels, stars, snowflakes or gingerbread houses.... 10) Cut the dough with cookie cutters or use a pattern to cut out the dough with a knife to make a house. Carefully transfer the cut outs to the baking sheet. This is a construction cookie dough for houses and centerpieces. This dough is edible but I don't recommend it for making cookies for eating. Cooled cookies are hard and very spicy. Divide the dough into 6 equal pieces and roll out each to a thickness of 5mm (¼in). Lightly flour nonstick baking paper ready for your template. Lightly flour nonstick baking paper ready for your template. For more than three decades, our family has enjoyed putting gingerbread houses together before Christmas. And soon I’ll be making the tasty walls and roofs that will turn into our grandkids’ special holiday creations.